Sanctuary is the first published outcome of an AHRC Research Fellowship in the Creative and Performing Arts (2008–11). 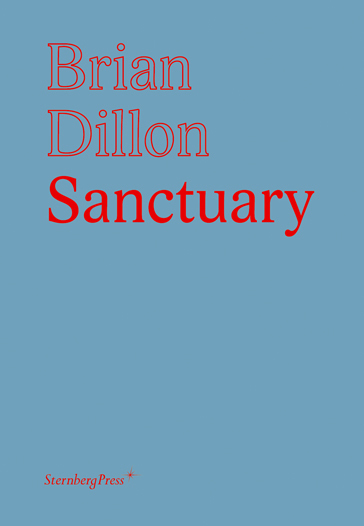 Dillon’s project was entitled Ruins of the Twentieth Century, and was concerned with the reality and representation of modern ruins. Dillon undertook research into specific sites and into the history of ruin aesthetics in architecture, art and literature. The project constitutes both an academic survey and a literary extension of recent cultural attachments to the concept of the modern ruin. Its final outcome will be an exhibition, ‘Ruin Lust’, at Tate Britain in summer 2014. Sanctuary is a novella based on project research into a representative post-war ruin: the remains of St Peter’s Seminary (Gillespie, Kidd and Coia 1961–7) at Cardross, Scotland. The book is based on field research at the site and archival inquiry into the design and subsequent decline of the building. Its originality lies not only in its excavation of a significant landmark in the history of modern architecture in Britain but also in its development of an experimental literary form. The book moves between narrative and a mode of description that expresses the materiality of the site: both strands are informed by architectural and topographical writings of the late modernist period, including the ‘nouveau roman’ and the essays of Robert Smithson.